For the one of the world's most famous art museums, audio guides are out and 3D handhelds are in. Anyone who's ever been to the Louvre can tell you that it is a massive museum. Trying to see everything in one day is futile; trying to actually appreciate everything is even more so. Parisians have the luxury of returning as often as they like to ponder the works of masters like da Vinci and DÃ¼rer, but many tourists in the City of Light have relied on the museum's helpful audio guides for years to highlight some of the greatest works of art in history. Over the next few years, however, the Louvre will phase these guides out in favor something a little more high-tech: the Nintendo 3DS. 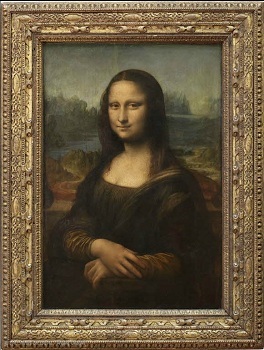 The Louvre plans to acquire 5,000 3DS units to broadcast the audio tour while allowing visitors to view 3D representations of the museum and its contents. While a 3DS is a much more robust piece of technology than an audio guide, Nintendo's latest handheld will not radically alter the Louvre experience. Like the existing audio tours, the 3DS will offer audio commentaries on hundreds of different works of art in seven different languages. However, since the 3DS incorporates a visual element, visitors will be able to locate themselves in the museum, interact with floor maps, and even plan out itineraries. As one of the most visited museums in the world, the Louvre has no problem attracting new visitors or summoning back repeat travelers, but it still seems interested in drawing a younger, more tech-savvy demographic. "Digital development has become a strategic issue for museums," says Henri Loyrette, the Louvre's director. In addition to the 3DS guides - which include special itineraries geared towards children - the museum is also revamping its website and its smartphone apps. All of these advancements seem geared towards helping patrons create a more personalized experience. In one of the largest art museums in the world, it's incredibly easy to feel lost and overwhelmed by the sheer amount of culture on display. Feeling a personal connection to a small number of works, as any art aficionado can attest, is worth more than all the rushed tours, "greatest hits" guides, and shoddy photographs in the world. If 3DS guides can help visitors connect with a shared cultural history more effectively, then vive la rÃ©volution!